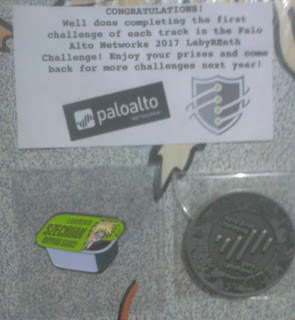 This was the first CTF Challenge I ever tried. So those things mean a lot for me. Thanks to those mp3, mp3, playing them in loop mode make me don't get tired of stepping. Why should I play Subway Surfers using mouse ? isn't keyboard cool ! Let's assume that someone forced to work under some circumstances, where no internet access will be available to him (not forever but just for a duration like one week), he will probably click Ctrl+F, write subway, Great, he found a game where he can burn his time. Let's play for 30 min - 1 hour, probably that person will not be able to reach more high score, his hand will hurt. I want to make the life of this person easier and better by adding keyboard support to that game (the game is for childs or not that is another story, and not important for me). I want this feature to become built-in, so the end don't want to do anything other than double click the exe. Great, It looks like that I'm lucky, UnityEngine is used along with Mono, which is a .NET framework-compatible. 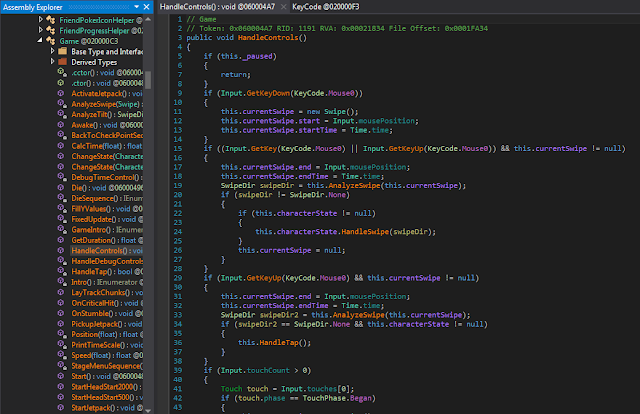 Found something interesting in Assembly-CSharp.dll, Game.HandleControls method, we must add arrow keys support there. 08-09-2017 at night I just knew that flare-on started, solved two challenges and fall asleep. 09-09-2017 after-noon, started solving challenge 3. 4 - It took me more time to figure out that the challenge uses PE files from last year flare-on challenge (2016). Generally, every PE file contain a 8-byte forming a part of the key, each file will have those bytes at offsets 0x400, 0x410, 0420 or 0x430.